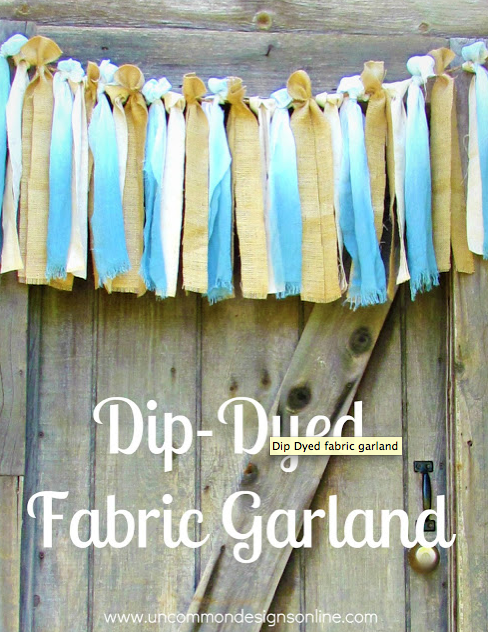 I don't normally like working with tie-dye, but after reading this tutorial for a dip-dyed fabric garland and seeing the end product, I'm a little in love. 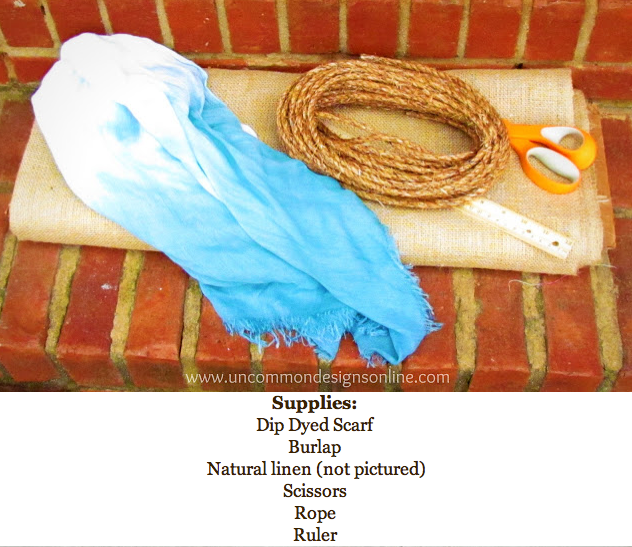 Trish and Bonnie at Uncommon Designs opened up a Tulip tie-dye kit, and using a gauzy white scarf, dip dyed it in blue to create an ombre look. A few ties and snips later, and oila! 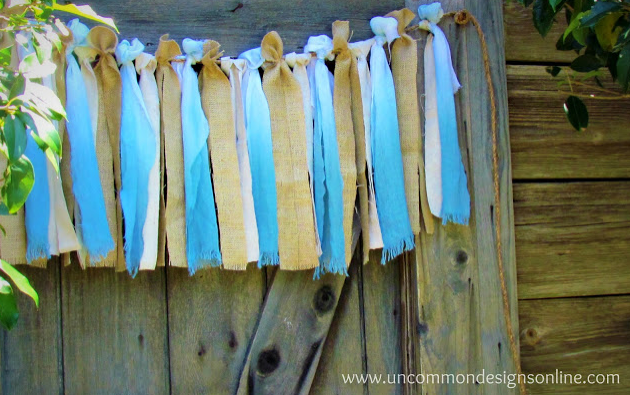 For the full tutorial, see Uncommon Design's post here. 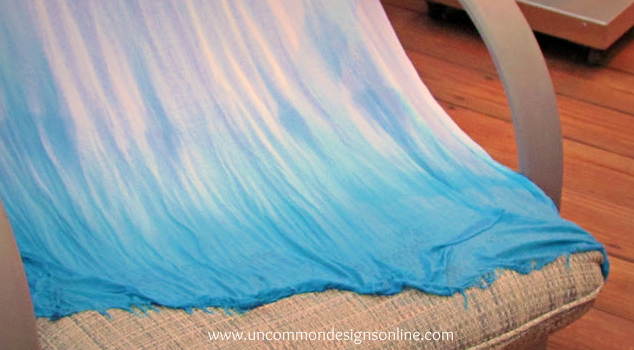 Thanks for letting me feature it, Trish and Bonnie! That is so pretty! Great idea! I just nominated you for the Liebster Award...check your email!